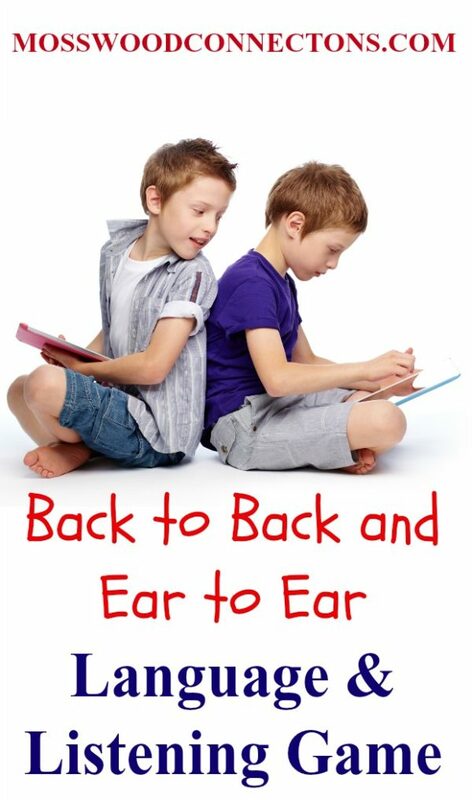 Want to help children hone their listening and following directions skills? Well, grab some kids and have fun with this language and listening game. 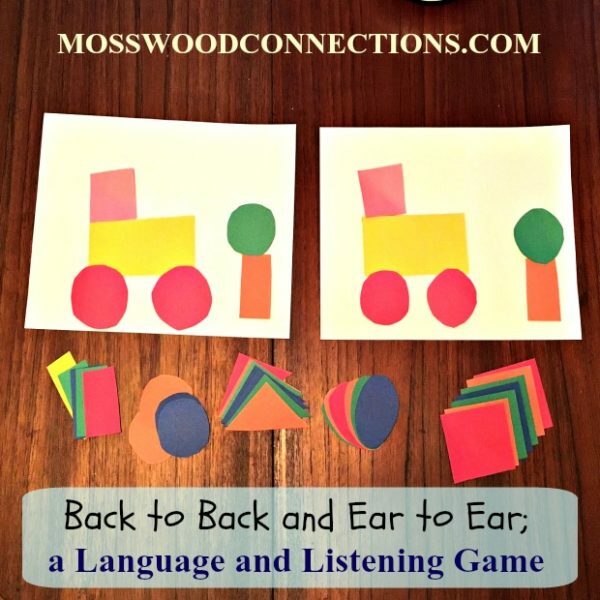 We are always looking for ways to build language and listening skills and this simple game has a bunch of skills packed into it. 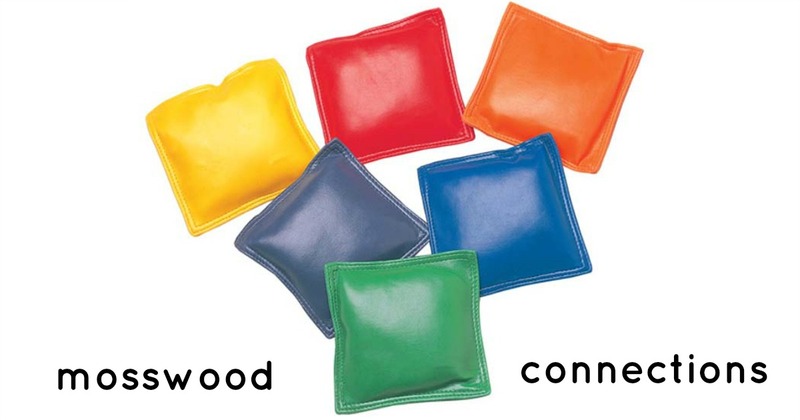 We have shared this language and listening game with a few parents and therapists and they have all reported back that not only was it fun, but it was also effective in helping the children make progress with the target skills. It is easy to modify to work on a variety of skills. Pairs of geometric shapes in different colors. Players sit back to back for this game, facing away from each other. Now it’s the other players turn to choose and call out instructions. After a few turns, players compare their masterpieces to see how well they match up. 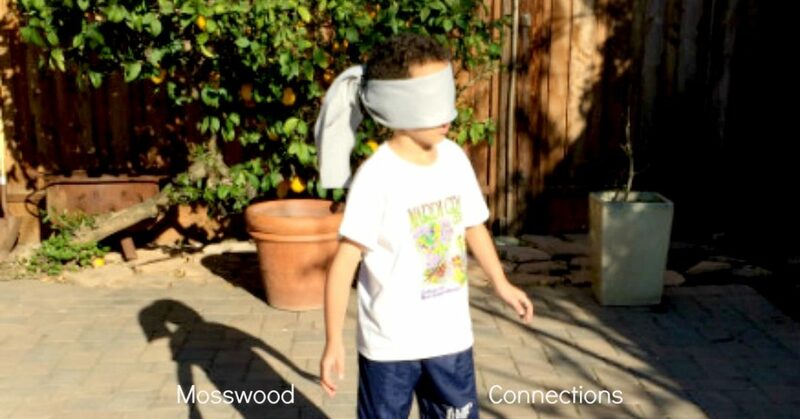 Seeing how the kids processed directions will give you good information. You can see if they are understanding or struggling with auditory processing, prepositions, descriptive words, or directionality. Here is an example where one child was having a difficult time with directionality. Use the same shape but with different attributes so that the players need to use adjectives to recognize and describe the correct shape. For example, place the BIG RED square on the bottom right corner. Make the object of the game to create a picture with the shapes. That way it brings cooperation into the game. Give 2 – 3 directions at a time. Take turns telling a story about the picture that was made. 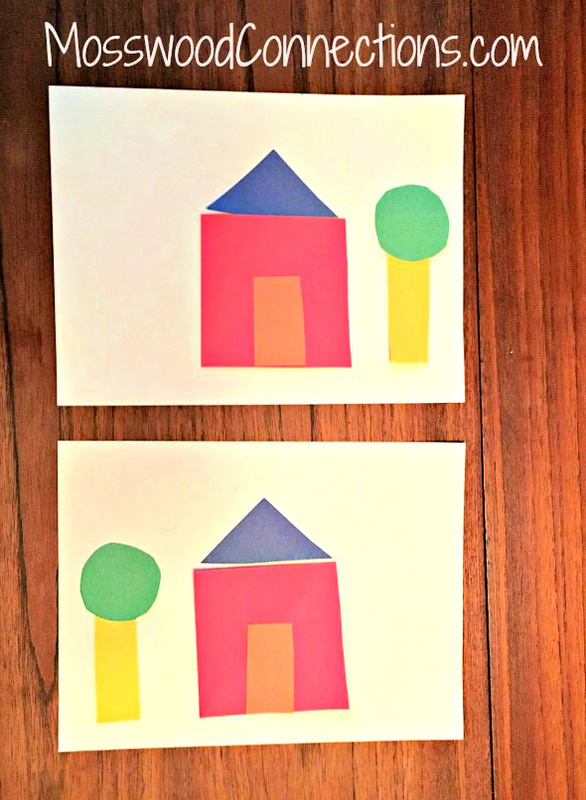 Have the child draw and cut out the shapes for more fine motor practice. More Fun activities for practicing language and listening! This Homemade Lego Listening Game from Stories and Children is sure to engage any child who likes building. 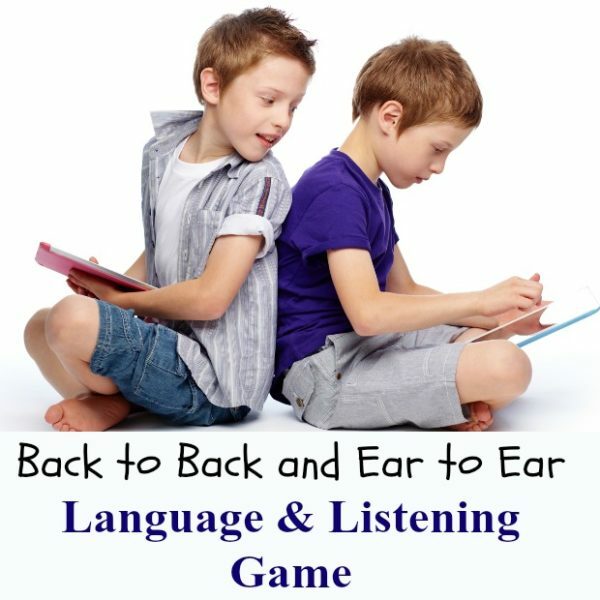 Teach123 has some fantastic games to help children learn to listen and follow directions. Kathy Griffin’s Teaching Strategies uses Pete the Cat for Listening and Learning activities. Susan Berkowitz’s Free Mystery Picture Hunt for Speech and Language Development. 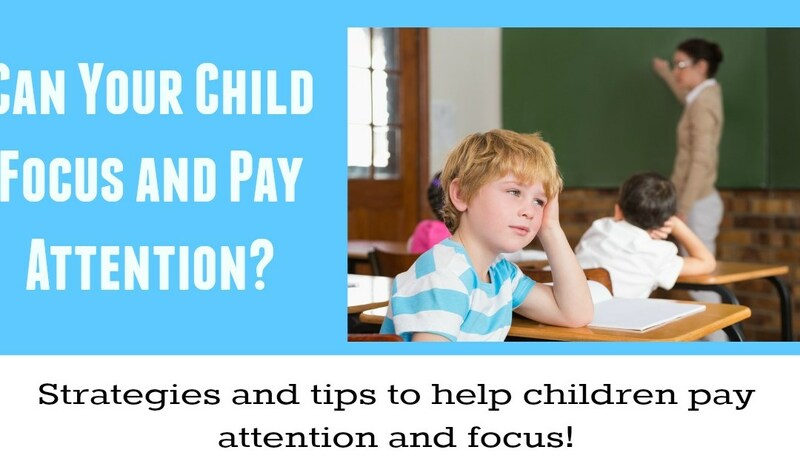 Can Your Child Focus and Pay Attention? Strategies, tips, and activities for focus, attention, distractability, ADD, and AHDD.